Once again, thank you to everyone who visited my blog during the “Grow Your Blog” days. 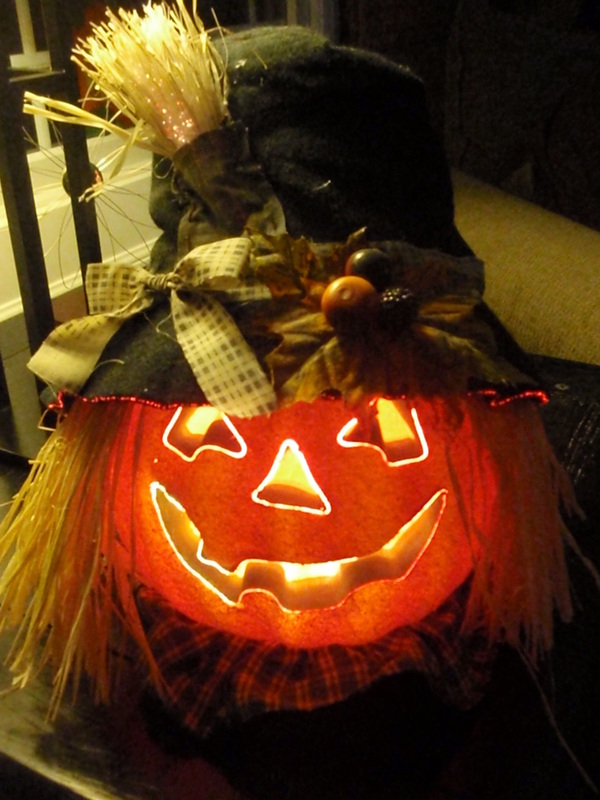 And a special thank you to all of you who have signed up to be followers of my blog. The winner of my giveaway for this special time is Barbara Lillian In France. A special thank you to you Barbara for participating. 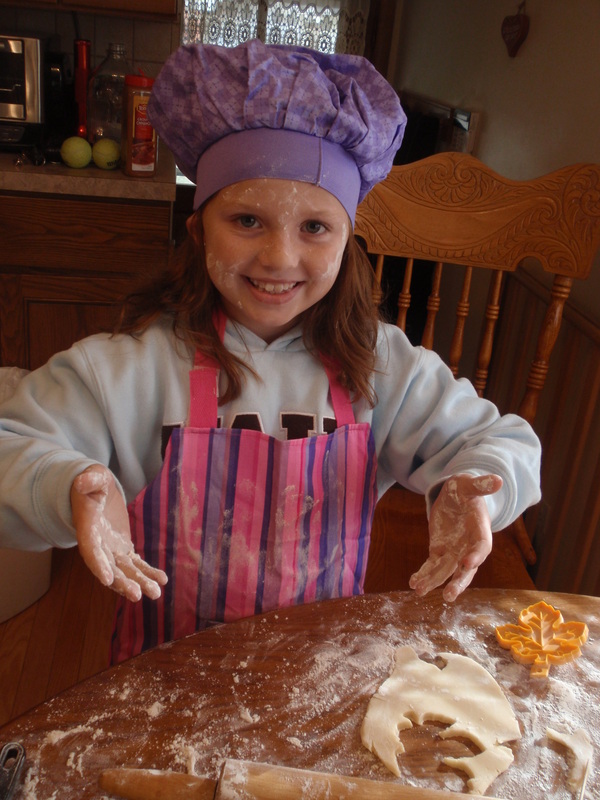 Please stop in to see her blog…her photos are LOVELY! 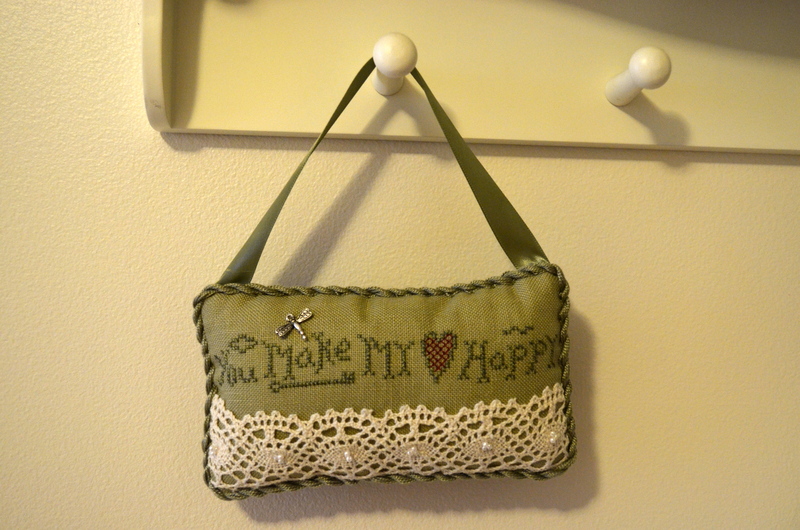 I previous made one of these for a friend’s birthday…and I liked it so much I made another one for the giveaway. Hope you enjoy it Barb! My days have been filled with lots of diligent work on finishing my unfinished projects. My trapunto flowers are coming along, although I had hoped to have them all done. It goes fairly quickly, but I worked on other things instead! Another favorite project I hope to finish soon is this one. I will not reveal the pattern until it is finished. Can anyone out there guess what it is? 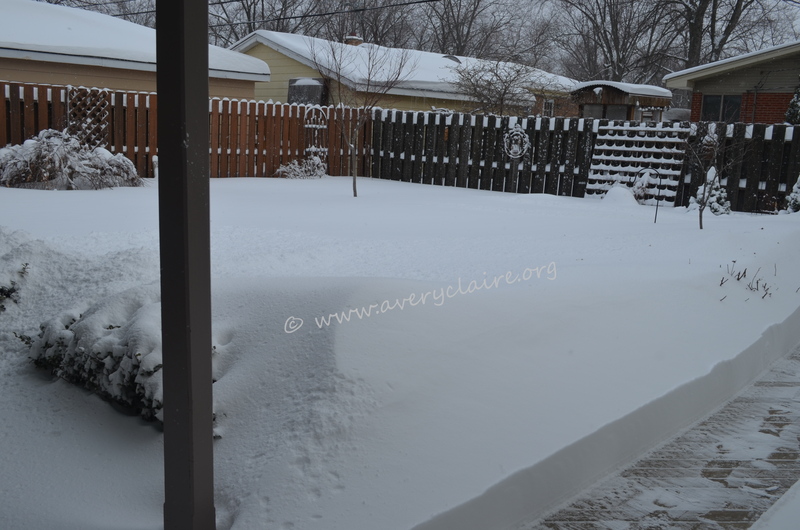 Of course, much time was spent in helping my DH clear out our snow-filled walkways. Recently when a group of ladies were complaining about the terrible winter, one friend said, “I woke up this morning, and I am not in any pain…so I cannot complain about something so minor as the weather.” I whole-heartedly agree! 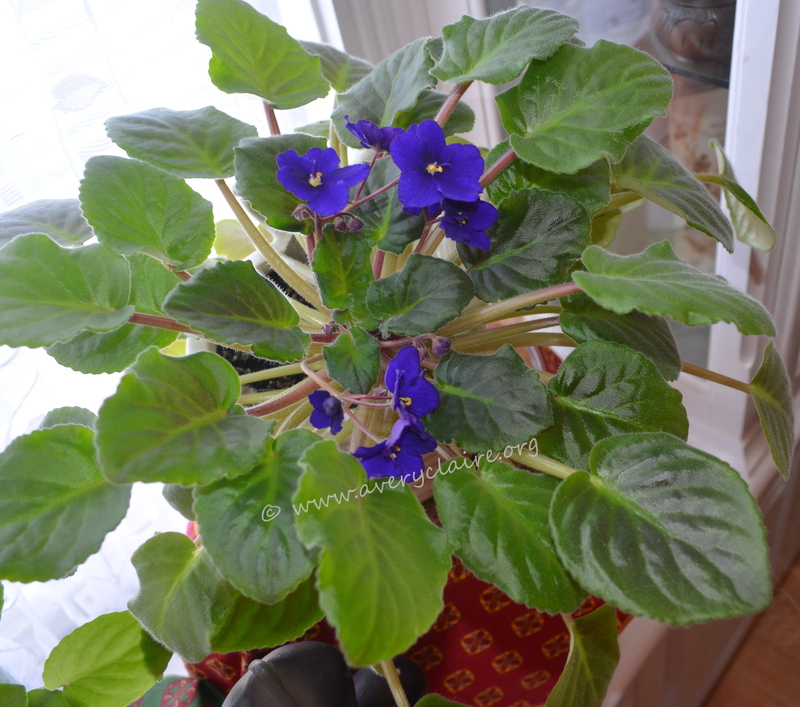 And so I let my beautiful African Violet inspire me. Just looking at it reminds me that Spring is just around the corner! Read to the end to find out about the giveaway. 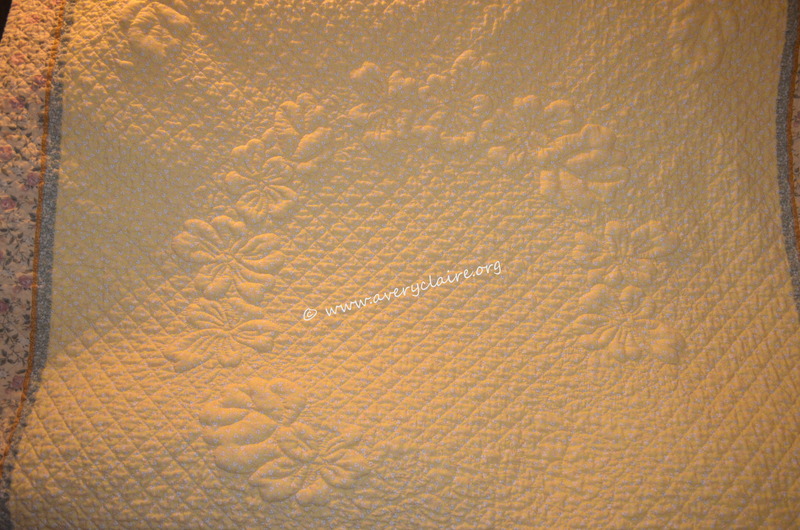 Some time ago I entered a give-away and won the most wonderful 2 disc set DVD on Quilting with Feathers (Vol. 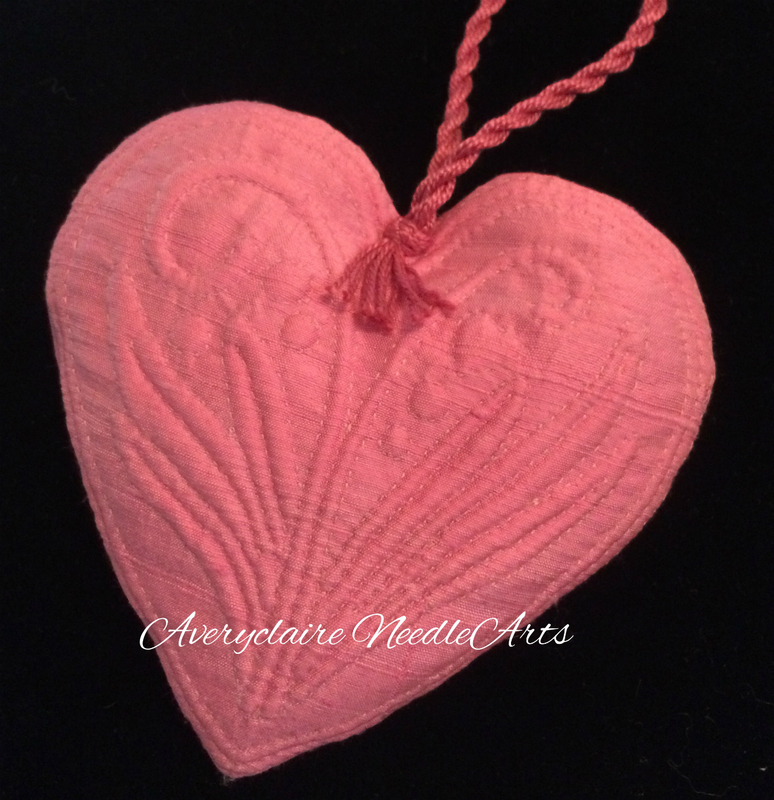 4) from the Quilting Gallery website. The CD is from www.patsythompsondesigns.com. I think this is the first time I have actually won something where there were a LOT of entries. I was thrilled. I love quilted feathers and this is just the thing to give me some more confidence. Shortly after I returned from my last trip to Florida, I met my friend Marjorie from Moonsilk Stitches for dinner. We ALWAYS have such a delightful time together and manage to spend an entire evening without a lack of conversation! She surprised me with this lovely acorn pendant. 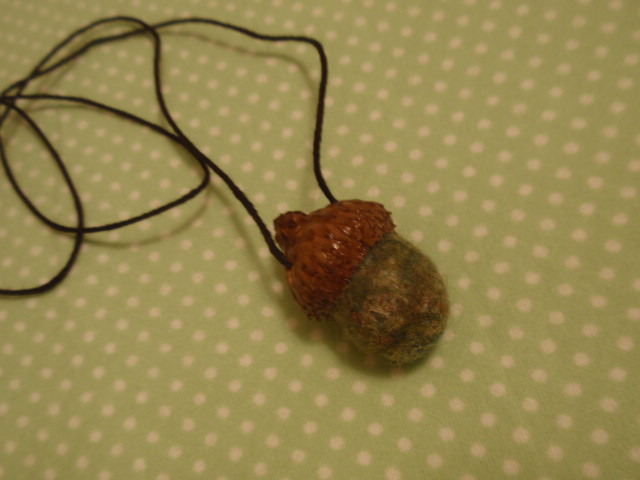 The top of the pendant is a REAL acorn top and the bottom is needle felted. It is a lovely piece of jewelry for the autumn weather! 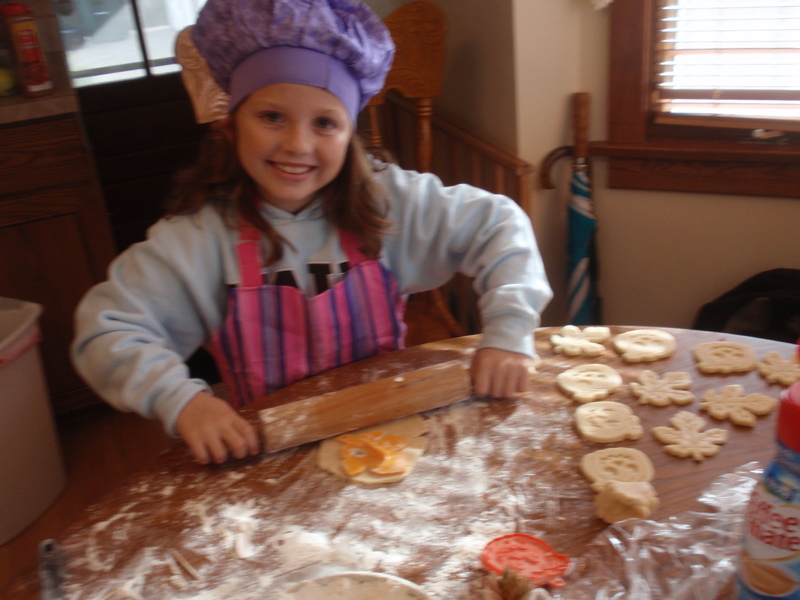 Then Halloween was upon us and one of my granddaughters came to help me bake cookies for her parents’ Halloween party. We made Jack O’Lanterns and Autumn Leaves. After Halloween was just a memory, I had a birthday. 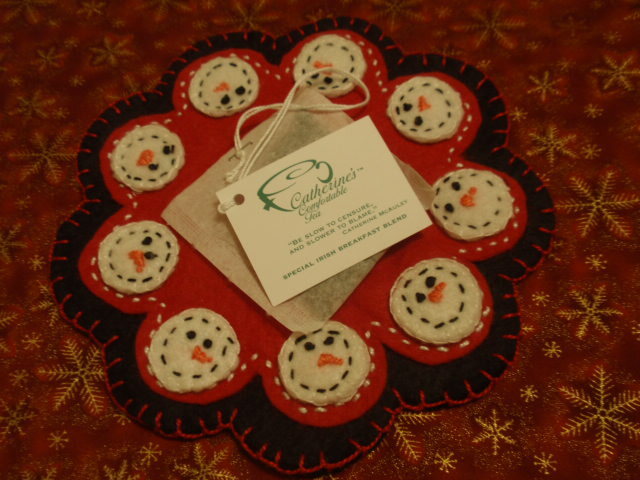 My dear SIL sent me this lovely handmade “snowman mug mat” with some special “Catherine McAuley” tea bags. I just LOVE it!!! Thanks Judy! 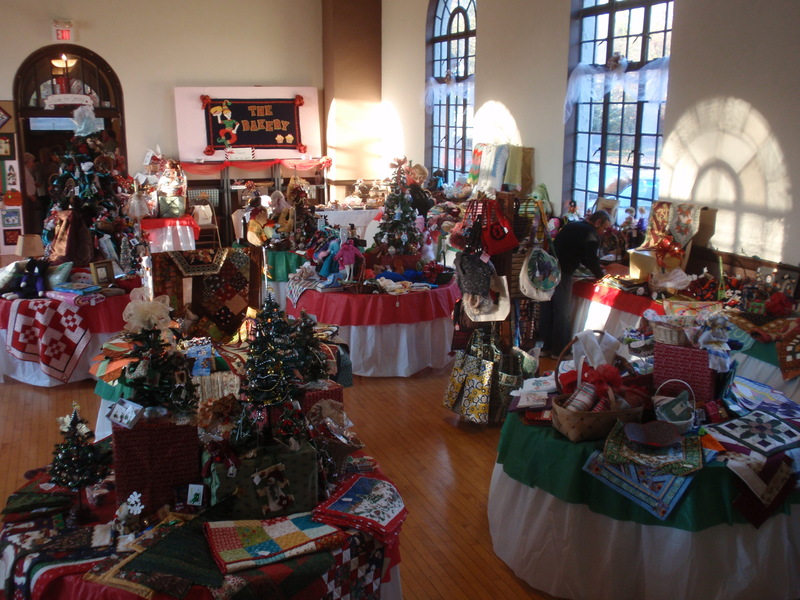 And last, but not least, last weekend my quilt group had their FABULOUS “Boutique” weekend. 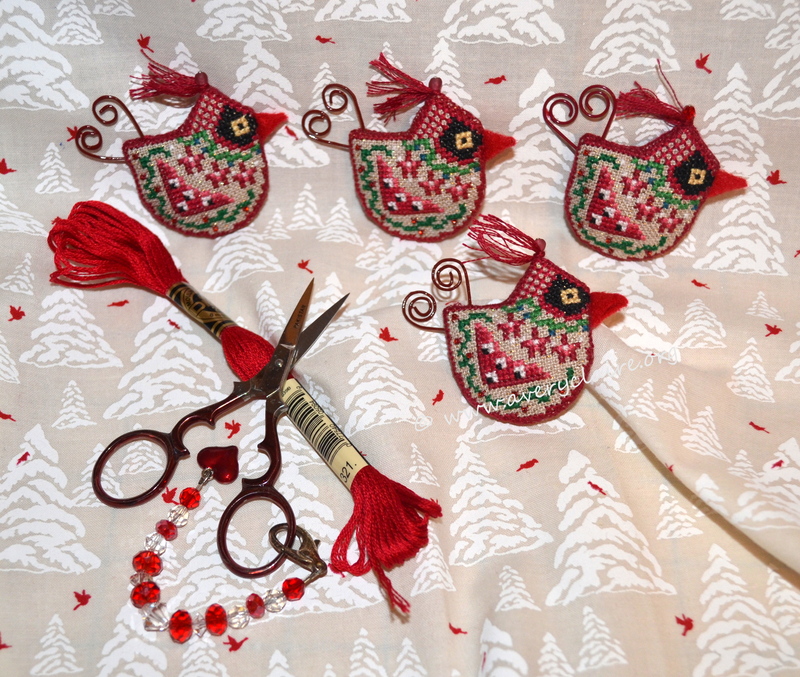 Our members create handmade gift items and we have a lovely sale on Friday evening and all day on Saturday. It has been going on for years and is a TREMENDOUS success in spite of today’s economy! 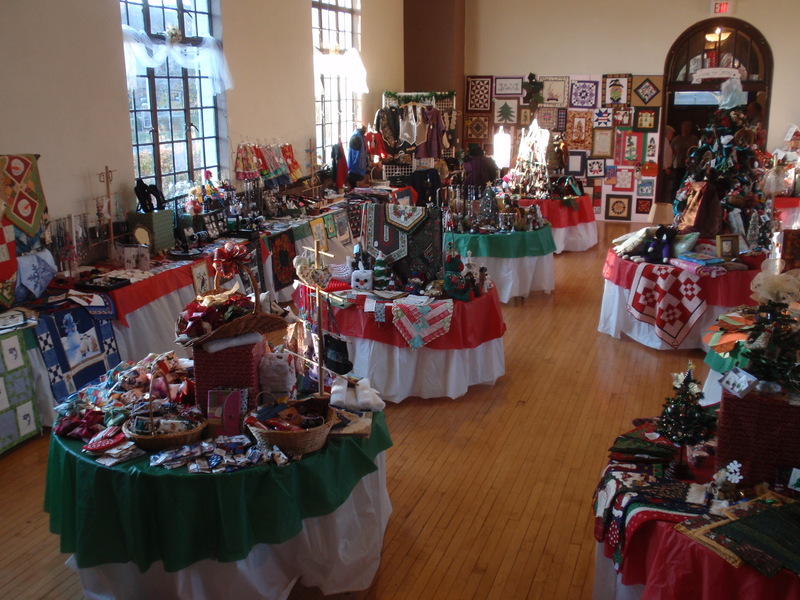 It’s also the best way ever to spend two days conversing with all the women in the quilt group and all the shoppers who come to buy. They sold ALL of the baby blankets I made and I have orders for more! Still working two days and waiting for them to decide to move the offices….and in the evenings, weekends, and spare time, I have been diligently working on my three quilting projects. 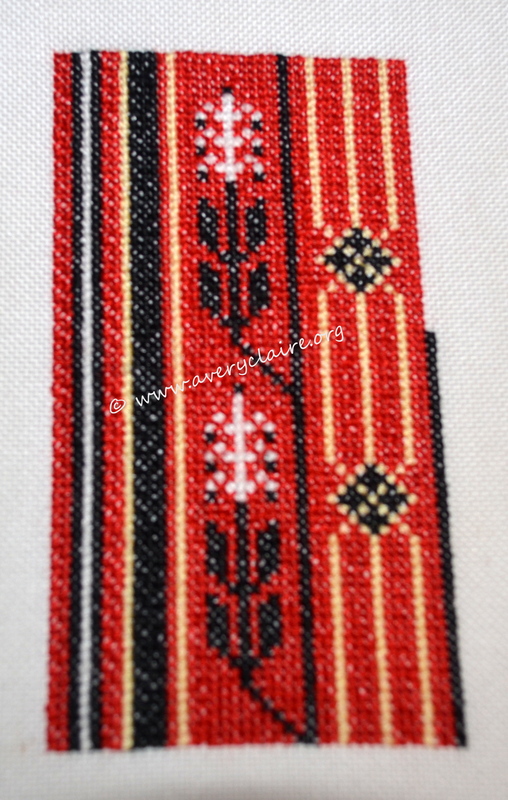 Haven’t touched any other type of needlework lately….HAVE to finish those quilts! Yes, this is my 100th post. Not a lot considering I have been blogging now for two years. I always feel I don’t have a lot to say, or I haven’t taken any good photos, or I haven’t any needle arts to show. In this case, I am supposing that 100 posts is a big accomplishment for me. SO, I have decided to have a SURPRISE GIVEAWAY to one of you who leaves a comment on this 100th post. No rules, no regulations, no joining anything, just a leave a comment. In 14 days, on Tuesday, November 23rd, at 6 PM, I will draw a name from the list of friends who comment. The give away is secret, but I hope you will trust it is something nice.